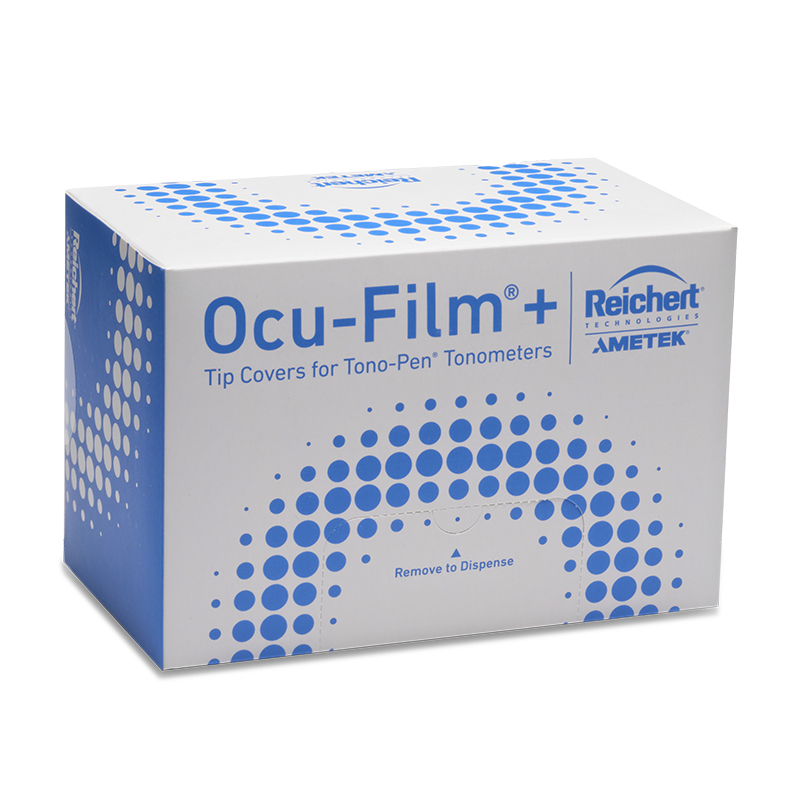 Genuine brand Ocu-Film + Tip Covers are the only Reichert approved covers for use with Tono-Pen® tonometers. Ocu-Film + Tip Covers protect your Tono-Pen tonometers from dust and fluids, and help protect patients from the risks of cross contamination. Ocu-Film + Tip Covers are 100% hand inspected by trained technicians and then sanitized. These are individually packaged in clear plastic pouches. Also available in Bulk Pack of 600.